apprentice making a living in Washington State. ultimately made the decision to start his own business. home to three employees (including Templeton and his brother). In 1985, a 4,000-square-foot paint shop was built. 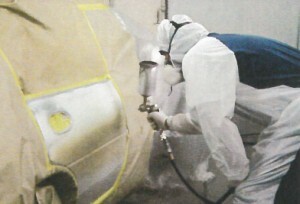 Woodburn Carcraft provides quality car care in Woodburn, Oregon, since [Year]. We are a family-owned business delivering honest and professional automotive repair and auto maintenance services to the people of Woodburn and surrounding areas. The quality ASE (Automotive Service Excellence) certified technicians at NAPA AutoCare Center employ today’s latest automotive technology and are equipped to handle all major and minor repairs on foreign and domestic vehicles. Woodburn Carcraft is a certified NAPA AutoCare Center; we are able to provide the benefits of an established national entity while maintaining the personal touch of a family-owned business. We understand that your vehicle is a major investment, and that is why we care for each customer’s vehicle as if it were our own. Woodburn Carcraft is your local AAA-approved auto repair facility. AAA has demanding standards for technical competence and customer service. Only one-third of all facilities that apply are being approved. Being AAA-approved means our facility has maintained a Customer Satisfaction Index (CSI) rating of at least 90 percent and that we undergo annual CSI review. 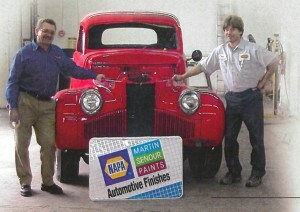 Come by and visit our clean and professional shop in Woodburn, Oregon. Read an article about our story in the Woodburn Independent! Full article can be viewed here. "Woodburn auto shop reopens after 10-year absence"
It’s been a decade since the Woodburn Carcraft sign hung on the south side of town announcing itself in blue and gold. But with the business’ October re-opening, owner Doug Templeton is excited to be back and has brought his three sons into the fold, making Woodburn Carcraft a true family-run business. When Templeton retired and sold his business in 2003, he got out of the automotive trade but didn’t retire in the classic sense. He wasn’t wintering in Arizona or fishing each afternoon. Instead he partnered with his youngest son Michael and began remodeling and reselling homes. Templeton also retained ownership of the automotive shop buildings and property. 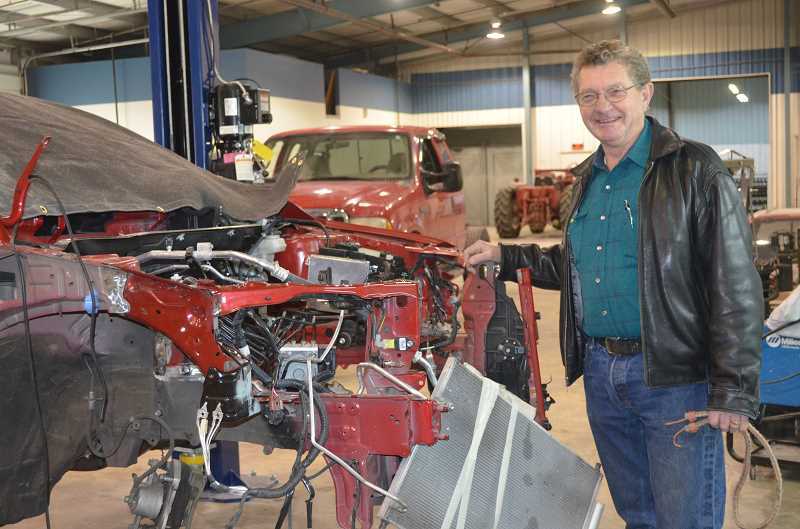 But when his shop tenant moved out this past fall, Templeton found himself with an empty 22,000-square-foot building and three sons interested in restarting the family business. The Templetons outfitted the shop with state-of-the-art equipment and reopened under the original Woodburn Carcraft name just over a month ago. “I had 10 years off and did a lot of fun things, but I’m excited to be back,” said Templeton. Ten years ago when he sold the business, his sons, Jim, Douglas and Michael, were not interested in taking over and wanted to try other ventures. However, when his tenant moved out, he was left with not only an empty automotive garage but three eager sons. Templeton opened his original automotive shop in 1975 and made a mark on the community with his strong sense of civic-mindedness. Over the years, he served as president of the Woodburn Area Chamber of Commerce, the Woodburn Downtown Association and Woodburn Kiwanis. In 2001, Woodburn Carcraft was named Business of the Year and Templeton garnered special recognition from then-congressional Rep. Darlene Hooley. Templeton believes in a strong sense of community and said that being involved in the community helped make his business a success. Templeton’s newly updated shop started humbly in a damp heater-less metal building that still sits on the south side of the parking lot. Templeton said they currently use it as a detail shop, but are considering tearing it down to make room for more parking. Templeton grew up in Arizona and northern California but it was through an invitation from his sister, who lived in Newberg, that he came to the Willamette Valley and landed in Woodburn. After working at a Salem auto body shop, Templeton decided to start his own business and founded Woodburn Carcraft. When Templeton sold his business, he and his wife, Gwen, a registered nurse at Salud Medical Center, enjoyed traveling in their RV and camping with friends. But with his wife still working several days a week, Templeton said they couldn’t be gone for too long. Now with the business reopening, Templeton said he works almost every day but is hoping to scale back and semi-retire by early next year. He will rely on his sons to run the business and each has his own area of specialty: Jim is the technician and auto body specialist, Douglas specializes in auto paint and Michael excels in office management. Currently Carcraft is open Monday through Friday, but Templeton hopes to add Saturdays soon. The Templetons offer a full-service auto shop able to fix both engine and body trouble, and also service recreational vehicles.